Controversial gospel singer Ringtone now says he has been conned of over Sh800,000 by a man who claimed he could hook him up with Diamond’s ex, Zari Hassan. The serial attention-seeking musician has been making blog headlines over his romantic advances towards the Ugandan sweetheart for weeks now. Apparently, the pursuit appeared to be bearing fruit after Ringtone was approached by a man who introduced himself as Zari’s cousin. 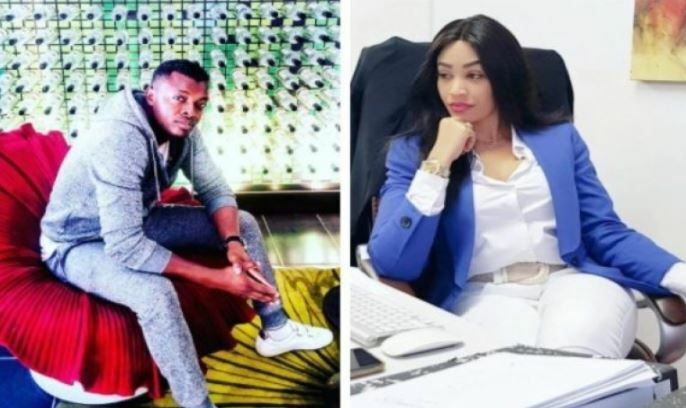 According to Ringtone, the man met him in his office and told him that Zari has sent a message that Ringtone should arrange for their formal meeting before her Nairobi show slated for next month. He said he had flown from Uganda to deliver the message and he needed something tangible to take back to Zari to signal that the message had been delivered. “That was two weeks ago. Since, I haven’t heard a word from him and his phone has been off,” Ringtone told Pulse. Asked why he couldn’t call Zari since her telephone number is in the public domain, Ringtone said: “It is not a problem calling Zari, but when you get someone claiming to be a ‘brother’ to the girl you are in love with, you don’t think twice. You just conform,” he said.